Summer Food Safety: No One Wants A Date With the Collywobbles. Recently there was a mild bout of tummy troubles in our home that made me think about food safety. The illness only affected hubby and me, so I wondered if it was something we had eaten. The next question was, what had we eaten that Princess Destructo hadn't? I went to the fridge and peered inside to fish out the culprit. Light bulb moment! On a recent trip to do some grocery shopping I had an impulsive craving for potato salad. So, purchased a small tub and walked home with it. It's only a 15 minute walk, but it was a really warm day. That salad became a snack shared by hubby and me on Friday night, and so we also shared the collywobbles. At least, that's what I think was the cause. Sometimes you never really find the source of illness. 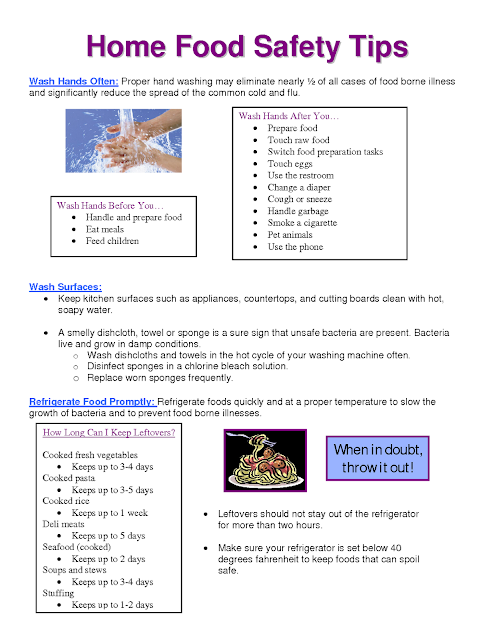 So with the warmer days here for SUMMER, I thought it might be time to review some food safety tips. Bring insulated cooler bags and reusable ice packs on shopping trips. Since I thought I was supposed to be walking to the store for bread, I only had my reusable fabric shopping bag. Shop for perishables last. Did you know that refrigerated items should be brought home and put in your fridge within 30 minutes of leaving the store cooling units? How many people choose their milk and eggs then continue to shop for another hour? Big department stores can offer lots of distraction to shop for other items. I was lead astray by cute sandals at Super Store, just last night. Check packaging and expiry dates. I've noticed that my local store will give amazing deals on meat and then I find that it is expiring that day or the next day. It may still be safe to buy, but it will need to go into the freezer or be eaten immediately? Check cans to see if they are dent and bulge free. Are boxes closed? Are bags sealed? Leftovers deserve their own category because most people have their own ideas on how long to hang onto food. This chart gives more information on how long to keep food, leftovers included. I generally only make enough food for one meal, unless I have a specific goal on how to use the leftovers. If I make a chicken on Friday afternoon, it is eaten or tossed by Sunday. I am pretty squeamish about this, and would rather toss it then play roulette with food poisoning. Store raw meats separately from produce and other foods eaten raw. My meats go in sealable plastic bags and into the lowest shelf of my fridge. Store food at the proper temperature. Your fridge should be 3 or 4 degrees Celsius (that's 40 degrees Fahrenheit). Don't assume the thermostat in working, invest in a good thermometer. They are fairly inexpensive and can clip on a shelf for easy viewing. Bacteria grow most rapidly in the “Danger Zone,” the range of temperatures between 40 and 140 °F. Some harmful bacteria can double in number in as little as 20 minutes. A refrigerator set at 40 °F or below will protect most foods. 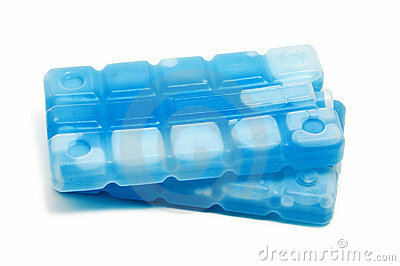 Defrost frozen foods in the fridge, or in the microwave. And cook it to proper internal temperature. I have a few friends that like to live on the wild side and defrost their meat on the counter while at work for the day, then cook it up when they get home ten hours later. I'm sorry but that gives me the heeby geebys! Wash hands before prep begins, and after handling raw meats and eggs. Wash and disinfect work surfaces, cutting boards and utensils after contacting raw meat and eggs. Swap to a clean platter and tongs after putting your meat in the pan or on your BBQ. Cook foods to proper internal temperature. Invest in a proper food thermometer, mine cost $10 and I've had it for 8 years. It saves me from chopping up every steak and roast to play the "Is it done game." Update after post: New Canadian Guidelines for safe food temperatures. Health Canada/ Guidelines for many types of food safety questions. Public Health Agency/ Recalls and Alerts. Food Safety. gov/USDA Guidelines for food safety. Consumers Union/More food safety tips, including picnic and BBQ events. Original post date June 21, 2011. Updated by adding photos and Leftover Food Chart.